It’s our first episode of the new year! With that being said, happy 2019 homebrewer! We hope that you had a wonderful holiday season and that 2019 is treating you well so far. For us, it’s always a crazy busy time of the year but in the best of ways! Due to the crazy busyness of the moment, Todd and James had to sit this week’s episode out. 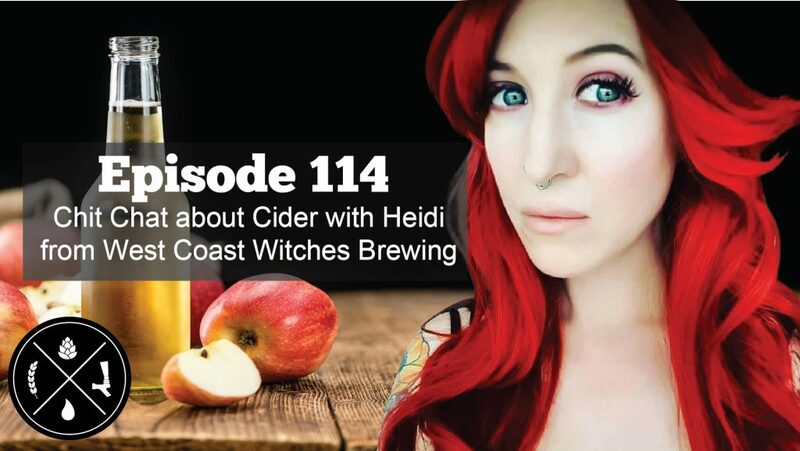 Fortunately, Joshua was joined by Heidi from West Coast Witches Brewing in a last minute hail Mary to come do a follow up interview on what she’s been up to. Amazingly, a LOT has been going on for her over the last 15’ish weeks since we last had her on the show. She’s launched a sweet new Patreon, a fantastic new podcast, she’s producing lots of new video content, and is also now the California rep for the Cider Scene website. So… yeah, LOTS going on and we cover it all on this our first episode of 2019!